So last week I finally finished my second novel. I started writing it in 2003 and have done a series of rewrites over the years. There was a while between 2007 and 2009 where I didn’t touch it at all because of the other two books being published and all the nuttiness that entails, but it’s finally done. Well, done, you know, until someone publishes it and it goes through the editorial process, or until I stack up enough rejections that I figure I need to fix it. Yeah, that kind of done. Anyway, I sent my first batch of queries out this week and am hopeful that I’ll get some interest soon. Can’t wait for the launch of Betty Jane Hegerat’s new book The Boy, at Memorial Park Library, 7 PM, next Thursday, May 5th. And I’m certain the weather will be lovely on that day, unlike today. Gearing up for Saturday, May 14th and Writing in the Works 4, also at Memorial Park Library, at 1:30 PM. Readings by myself, Susan Calder, Leslie Gavel, Naomi K. Lewis and Inge Trueman, hosted by our own Rona Altrows. Refreshments! Book sales by our friends at Shelf Life Books! Drinks afterward! Yay! Finally, I’ve started work on the syllabi for the creative writing courses (Levels 1 & 2) that I’m teaching through Continuing Education at Mount Royal University this fall. The timing on this was all really good; just as I was wrapping up this novel at last, this opportunity came up. I’m very pleased to have the chance to teach at MRU. Over and out for now. Hope to see you on May 14th! Had a fantastic time reading yesterday afternoon as part of a salon at Barb Howard’s lovely home in Bragg Creek. Also reading were poet and novelist Anne Sorbie and poet T.B. Perry. We also had jazz piano by Andy Tong. Really fun afternoon. Thanks again to everyone who participated and everyone who came out for the event. Next up is the launch of Betty Jane Hegerat’s new book The Boy, at Memorial Park Library, 7 PM, Thursday, May 5th. Looking forward to the launch and to reading the book. 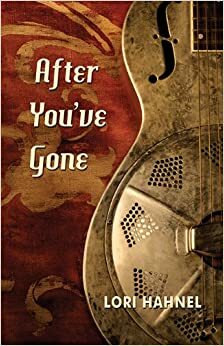 And shortly after that is Writing in the Works 4, also at Memorial Park Library, Saturday, May 14th at 1:30 PM. Readings by myself, Susan Calder, Leslie Gavel, Naomi K. Lewis and Inge Trueman, and hosted by our own Rona Altrows. Looking forward to it! I had so much fun doing the trailer for Love Minus Zero, I thought I might as well do one for Nothing Sacred, too. Hope you enjoy it. So I’ve finally made up a trailer for Love Minus Zero. It was quite a bit of fun, though a bit of a learning curve for me. Now that I’ve done it, I think I’ll try one for Nothing Sacred, although I think doing a trailer for a novel might be easier than doing one for a book of short stories. On the other hand, until a few years ago, who ever heard of a book trailer? O brave new world that has such people in it. Hope you enjoy. Just got back from a relaxing three night spring break trip to the Crowsnest Pass in southern Alberta. I always enjoy the Pass. It isn’t a glamorous type of vacation spot, to be sure. The scenery is breathtaking, though, and the history of that string of former coal-mining towns is fascinating. We visited museums, something we all love to do, hung around second-hand shops. Wanted to snowshoe, but the snow was slushy and the wind was insane. We saw a trailer at the side of the highway that had blown over onto its side. Yeah. Windy spot. 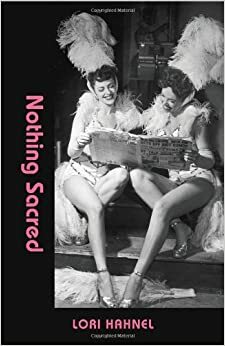 Thanks to Pearl Luke at Book Club Buddy for posting these interviews with me about Nothing Sacred and Love Minus Zero. Book Club Buddy does a great job hooking up readers and writers. I encourage you to check the site out!